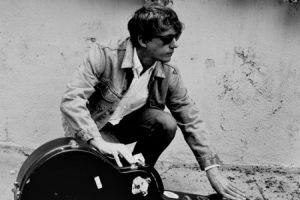 We are giving away a pair of tickets to Steve Gunn @ Aladdin Theater on February 12. To win, comment on this post why you’d like to attend. Winner will be drawn and emailed Friday, February 8. This is going to be one hell of a show. Please pick me! This is going to be a fantastic show – I’d love to see Steve Gunn live. Nice description of Steve’s music. Cant wait to see the show. After a reco from Mike Gordon on Twitter, I spent the following week digging into Steve’s catalog. I later realized I had missed Steve at Miss Studios the same day Mike recommended him. Since then Ancient Jules has become a personal anthem and I’ve been looking forward to his next visit. This Gunn isn’t loaded…but I would be, at his show. WOW Steve Gunn? Yes please! I was so excited, I forgot to say why I’d love to go. Steve Gunn is one of my favorites of all time and then you add Meg Baird and it’s really a great show. This is sooo awesome! Yes please pick me! What a combination. I would love to see this show! Just for fun, love the Lamplighter, coming from St Helens, it’s another world out there in Portland, love it! Conjuring immersive and psychedelic sonic landscapes! This show would be tons of fun! I’d love to go please! Sounds like a great alternative for my wife and I’s Valentines Day! I’m turning 68 years old on Feb. 11th and would love to go to a concert. Please pick me. Rock on. Thanks. What it would be like? A night on the town! should b a great show, please pick me. If I won the tickets it would be perfect for my first date with J.